Argentina is popular Latin American destination, thanks to its contrasting richness. Here you will discover a blend of European influences in architecture and cuisine, renowned artistic styles in music, literature, and dance, and a diverse geography ranging from pristine forests to the Andes Mountains to panoramic beaches. An excellent education system combines with the passion of tango and cosmopolitan bustle in Buenos Aires, the capital city and site for many student programs. Benjamin A. Gilman International Scholarships are provided by the federal government and awarded to disadvantaged students who otherwise would not be able to afford to study abroad. More than 2,300 scholarships of up to $5,000 annually are given for study programs around the globe, including Argentina. The Gilman Scholarship Program aims to support students who have been traditionally under-represented in study abroad, including but not limited to, students with high financial need, community college students, students in under-represented fields such as the sciences and engineering, students with diverse ethnic backgrounds, and students with disabilities. Applicants for the program must be federal Pell Grant recipients. Other criteria for acceptance includes being in good academic standing and a commitment to study in one country for at least four weeks. The Fulbright Program offers grants for American graduating college seniors, graduate students, young professionals, and artists to study in Argentina for a full academic year through the Fulbright U.S. Student Program. The English Teaching Assistantship allows Americans students to be English teaching assistants in schools or universities overseas, including Ecuador. The Fulbright U.S. Scholar Program sends American scholars and professionals abroad to lecture and conduct research in a wide variety of fields. David L. Boren Scholarships from the National Security Education Program are also extremely visible and competitive. Applicants must be undergraduate students who are studying an advanced language and culture studies or a discipline such as business, law, the sciences or agriculture. Applicants should identify how their study abroad program, as well as their future academic and career goals, will contribute to U.S. national security — broadly defined as the challenges of global society, including sustainable development, environmental degradation, global disease and hunger, population growth and migration, and economic competitiveness. Scholarships are awarded for up to a year of study abroad. Recipients must be willing to pay back their scholarships with a term of service with the federal government. Awards are up to $20,000.For graduate students, Boren Fellowships provide up to $30,000 to U.S. students to study abroad for 12 weeks to 24 months. Dr. Carlos E. Castañeda Memorial Scholarship and Correspondent Internship Opportunity, $2,000 for a semester, and $2,500 for a full academic year. Twenty-two of these scholarships are awarded annually to students who have at least one year of language study, a 3.25 GPA and can prove financial need. Michaela Farnum Memorial Scholarships, $1,000, for summer study. Five of these scholarships are awarded annually to students who have at least one year of language study, a 3.25 GPA and can prove financial need. ISA Diversity Scholarships, up to $2,000, aim to encourage students of a broader cultural make-up to participate in ISA programs. Six of these scholarships are awarded annually to sophomores and juniors with a cumulative 3.0 GPA. The world-renowned Rainforest Alliance offers the Kleinhans Fellowships. Up to $16,000 per year for two years is awarded to outstanding post-graduate, doctoral and post-doctoral students with a master’s degree in in forestry, ecology, botany, environmental science or a related field. Holt Scholarships, up to $1,900, fund summer or semester/year studies. Qualified candidates must have a minimum 3.0 GPA and a minimum 3.30 GPA in Spanish. Don Quixote Scholarship, $4,700, is rewarded to talented students who want to spend a year in Argentina. Qualified candidates must have a minimum 3.0 GPA and a minimum 3.50 GPA in Spanish. J. 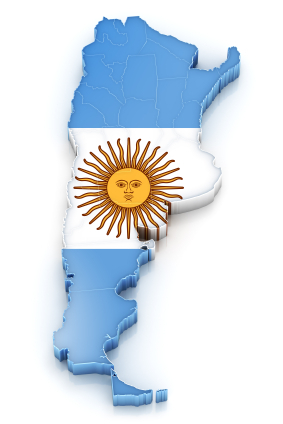 Gray Wright Scholarship, $3,900, goes to a junior or senior majoring in LAIS who may want to study in Argentina. Qualified candidates must have a minimum 3.3 GPA and a minimum 3.50 GPA in Spanish.